December 26, 2004 was a beautiful sunny day in Thailand. Petra Nemcova, a well-known model and television host, was taking a walk with her fiancé on the beach as they wrapped up their vacation. In a matter of seconds, life changed for them and for millions of other people. There was no warning; buildings around them completely disintegrated and people were screaming as water came crashing over them. Broken glass flew everywhere and people were trying to hold on to anything to survive. An earthquake had struck in the Indian Ocean, and the resulting tsunami created a wave of water that enveloped the land and pulled people out to sea. Nemcova lost her fiancé and suffered serious injuries, breaking her pelvis in four places and almost drowning. She managed to survive by holding on to a palm tree for eight hours until she was rescued by Thai civilians and airlifted to an inland hospital nearby. Nemcova states, "The most painful part was not the physical pain. It was emotional pain from hearing children screaming for help. Because there was debris around me and I was trapped, I couldn’t go and help them. After half an hour, I couldn’t hear their voices anymore, which meant that they couldn’t hold on any longer. In that moment, I didn’t have a choice. I couldn’t help them. Now I that I have survived, I have the choice to help children." A few months after the tsunami, Nemcova went back to Thailand and founded an organization to rebuild safe, resilient schools in areas impacted by natural disasters. "All Hands and Hearts is really a huge part of my life. It's something that has taught me about compassion and the incredible beauty which is in the human spirit," she says. All Hands and Hearts was created in fall 2017 with the merger of Happy Hearts Fund and All Hands Volunteers. Happy Hearts Fund was founded by Petra Nemcova in 2005 in the wake of the 2004 Indian Ocean tsunami to restore hope and grant new opportunities to children and communities affected by natural disasters by rebuilding schools. To date, Happy Hearts Fund has financed 165 disaster-resilient schools to the benefit of over 100,000 children in communities in Peru, Mexico, Chile, Colombia, Haiti, Thailand, Indonesia, Philippines, and Nepal. 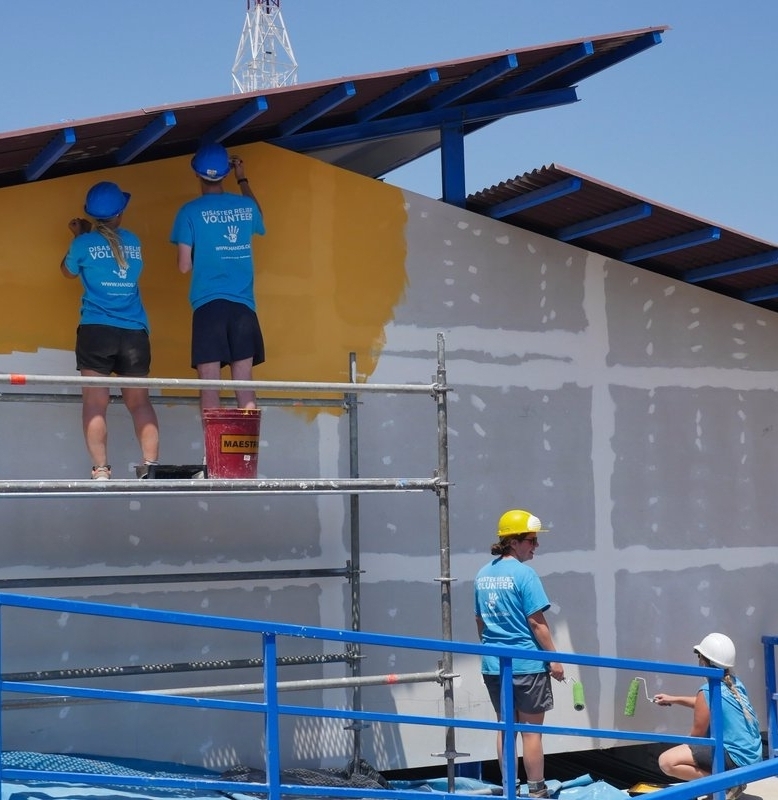 All Hands Volunteers was founded by David Campbell in 2005 and is a volunteer-powered disaster relief organization dedicated to rebuilding hope for people impacted by natural disasters all over the world. Over the last 12 years, they have enabled over 39,000 volunteers to donate 200,000 days impacting 500,000 people worldwide. All Hands and Hearts focuses on rebuilding schools (in addition to homes and community structures) because Nemcova saw firsthand how children can suffer in temporary buildings without safe places to learn and grow. "You lose a generation," she states. "School is an incredible change-maker. It's really [about] rebuilding the future of the community." In early 2017, the north portion of Peru was devastated by an abnormal warming of Pacific waters called Coastal El Niño, which unleashed a deluge of water on coastal towns. The intense rains were the worst seen in two decades, triggering deadly landslides and mudflows. These floods impacted over 863,000 people, damaging or destroying 2,300 schools and leaving over 285,000 children out of school. Piura was the most affected area in Peru, with over 50% of the population displaced and living in temporary camps. More than 75,000 homes and over 652 schools were damaged or destroyed. All Hands and Hearts is currently partnering with SURA-Peru to rebuild schools in the Piura area. The first school is Puerta Pulache, which will serve 150 primary school students. “I was blessed to survive a near death experience and this has taught me a huge lesson. We cannot control nature, but we can control the actions we take,” Nemcova states. 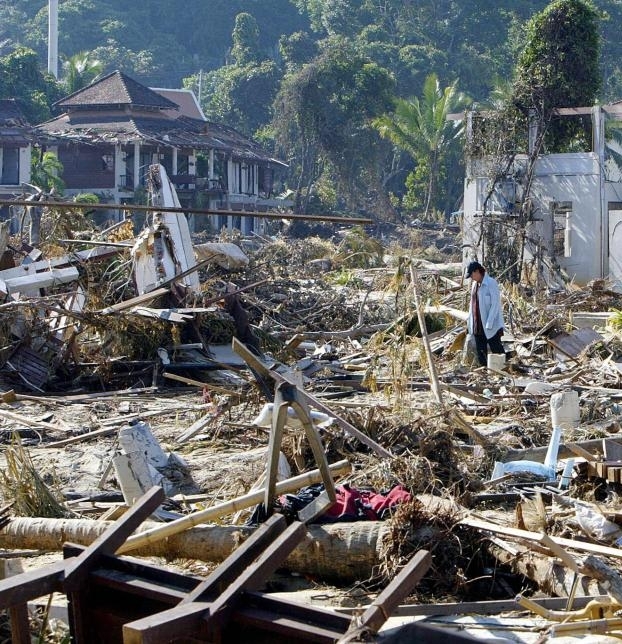 December 26th is the 13th anniversary of the 2004 Indian Ocean Tsunami. Our collective givetwig donation will sponsor current efforts to rebuild schools in Peru and Nepal. For more information on All Hands and Hearts, please check out their website. this week i'm gonna donate to All Hands and Hearts. On any given night in America, over half a million people are experiencing homelessness, meaning they are sleeping outside or in an emergency shelter or transitional housing program. Many are families with children, and the average age of a homeless child is seven years old. Within a single year, 87% of homeless children move, often up to three times, meaning changes in school, teachers, and school work. It is not surprising that they fall behind academically and start to have emotional problems. In Michigan, Alpha House works exclusively with children and families experiencing homelessness, striving to meet their most basic needs. 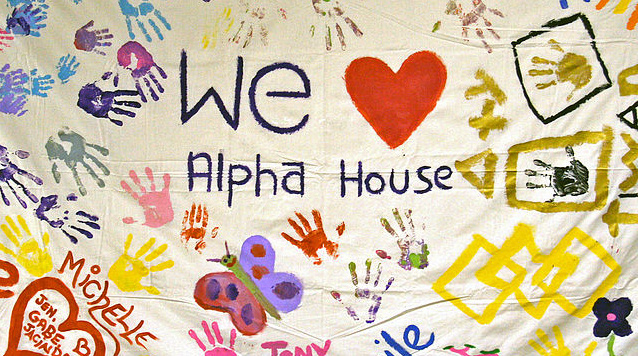 Alpha House efficiently and effectively provides stability for homeless parents and children living in a shelter and guides them through a plan to secure and maintain stable housing. Prolonged exposure to homelessness has a significant negative effect on adults and children - the longer a household experiences homelessness, the poorer the outcomes will likely be in a variety of areas. Therefore, it is important to minimize the length of time a family is in a shelter or temporary housing. The best way to do this is through short-term programs, including financial assistance, housing search assistance, and targeted services. This approach has shown tremendous promise in resolving the immediate crisis of homelessness for many families and preventing their future returns to homelessness. "Because of this program, I have hope, determination, optimism, and actual purpose to want to succeed. I needed this," states a former Alpha House family. 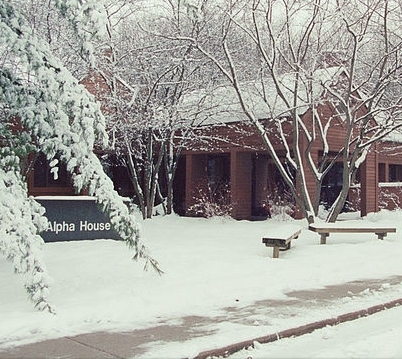 For 25 years, Alpha House has partnered with the Washtenaw County, Michigan community to shelter and support children and families experiencing homelessness. Their mission is to end child and family homelessness through their Emergency Shelter, Rapid Re-Housing, Children’s Services, Housing Location Assistance, and Home-Based Support Programs. Alpha House serves over forty families a year - up to six at a time - in their shelter and an additional twenty to thirty families in their Home-Based Support program. They provide intensive support services to address each family's specific needs and barriers to housing, and sets goals focused on increasing income and savings, increasing employment, and eventually securing permanent housing. Each year, over 2,500 volunteers from the surrounding community support Alpha House by cooking and serving meals, playing with the children, providing support and mentorship to the adults, and performing all the shelter maintenance (inside and outside). Every volunteer reminds the Alpha House families that they are not alone in their struggles. The Alpha House Rapid Re-Housing model helps to get homeless families back into permanent housing with assistance that may include the use of time-limited financial assistance and targeted supportive services. A former Alpha House resident explains the impact of the Rapid Re-Housing model: "My current situation wouldn't be possible if not for the support we received from Alpha House. Over the last two years, I was able to maintain employment, repair my credit score, obtain a valid driver's license, purchase a car, and pay off a lot of my debt. 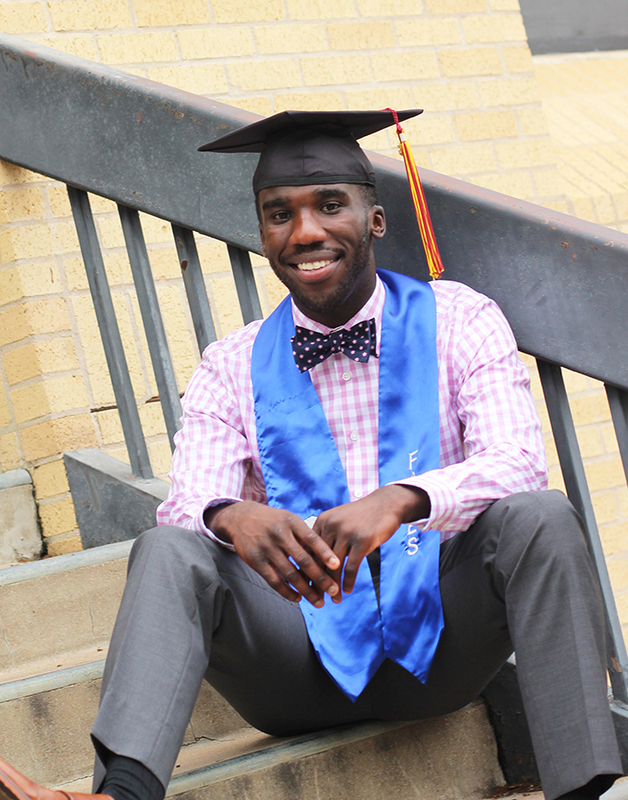 I appreciate everything and know that I will work hard to pay it forward." Rapid Re-Housing helps people living on the streets or in emergency shelters to solve the practical and immediate challenges to obtaining permanent housing and reduces the amount of time they experience homelessness. This helps to avoid a near-term return to homelessness, linking them to community resources that enable housing stability for the long-term. In 2016, Alpha House supported 61 families to achieve permanent housing. As one family says,"There needs to be an Alpha House in every city." December 21st is National Homeless Persons' Memorial Day (the longest night of the year). Our collective givetwig donation will sponsor one night of shelter for approximately 30 children. For more information on Alpha House, please check out their website. this week i'm gonna donate to Alpha House. year 2, week 50: this week i'm gonna... protect children. “What I wanted the most was a family, but instead I was shuffled from facility to facility like I was an animal,” says Elijah Sullivan about his time growing up in foster care. He entered the foster care system when he was 7 years old. Multiple studies have examined the importance of family preservation. In a series of studies tracking thousands of children, Massachusetts Institute of Technology economics professor Joseph Doyle, Jr. found that children placed in foster care experienced drastically higher juvenile delinquency rates, adult arrest rates, teen motherhood rates, and unemployment rates than children who experienced similar abuse or neglect and remained with their families. When children are removed from abusive and neglectful families, the goal is to keep them from further harm. Foster care can be a safe haven for some, but can be heartbreaking for others. Too many children live in dangerous situations, languish in institutions, are shuffled between multiple homes, or are torn from their siblings. Children’s Rights steps in to advocate for these children and make sure that the systems put in place to protect them are doing what they were intended to do. 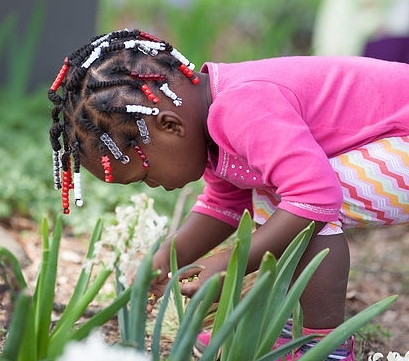 Children’s Rights is changing the way child welfare is practiced in the United States. The organization began as a project of the New York Civil Liberties Union and later the American Civil Liberties Union, and in 1995 became an independent nonprofit organization. Children’s Rights uses the law to hold governments accountable and defend thousands of kids when foster care systems fail, and they have secured court orders mandating top-to-bottom child welfare reform in more than a dozen states. Children's Rights teams up with local child advocates to thoroughly investigate state, local, and regional foster care systems that are causing physical and psychological harm to the children they are mandated to protect. They build cases that expose pervasive failures, help develop solutions, and then negotiate court-enforceable plans that ultimately improve the way child welfare agencies treat kids. Once reform strategies are in place, they monitor states’ progress until children in their care are safe and supported. As a result of their work, tens of thousands of children in more than 15 states are safer, get the education and health care they need, and have better foster homes. Best of all, children find permanent, loving families more quickly, ensuring they have the brightest possible futures. Children’s Rights has worked with stakeholders in a number of cases to help preserve family connections. 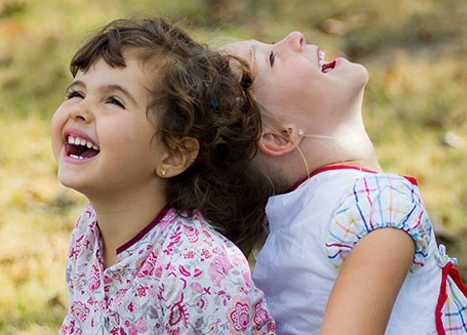 After Children’s Rights and co-counsel reached a settlement in a suit brought on behalf of children placed in Connecticut foster care, substantial measures were taken to help kids maintain family connections and avoid foster care when safe to do so. The percentage of siblings placed together, for example, increased from a baseline of 57% in 2005 to over 90% in 2014. Additionally, the placement of children with relatives has increased from 17% in 2011 to over 33% today. "Foster care should be the final recourse and, when it is necessary, kids need to be with supportive, loving families,” states Sandy Santana, Children’s Rights executive director. Children’s Rights is proving that failing child welfare systems not only can be fixed, but can be made to run well. They consider it their moral imperative to ensure that kids in foster care are supported and protected. December 10th is International Human Rights Day! Our collective givetwig donation will sponsor Children's Rights efforts to protect children in the foster care system. For more information on Children's Rights, please check out their website. this week i'm gonna donate to Children's Rights. year 2, week 49: this week i'm gonna... help all kids celebrate. It was the holiday season almost thirty years ago, and Rich Rosenberg was the official photographer of Santa visits at the mall. His wife, Barbara, had just started working as an aide to a boy with Cerebral Palsy, which is perhaps why Rosenberg realized that he wasn’t seeing any kids with special needs getting their picture taken with Santa. 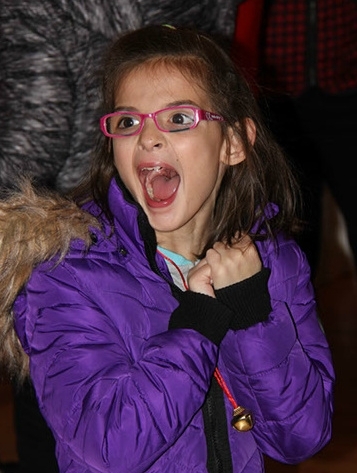 Rosenberg created a holiday party designed specifically for children with special needs and their families in a friendly and obstacle-free space. It has grown over the years to feature crafts, homemade cookies, music, face painting, balloon blowers, a quiet reading area, and, of course, photos with Santa. Families can drop in for as long as they like, and children can experience the holidays in a way that is comfortable for them. "It's really about normalizing and giving a child a chance to have life experiences the same as every other child," states Rosenberg. Special Kids Day is dedicated to providing celebratory events for children with disabilities and their families in environments designed to accommodate their special needs. 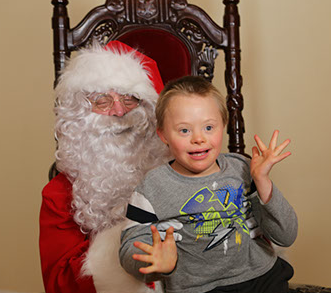 Started in 1990, Special Kids Day began as a holiday event that provided an opportunity for children with special needs and their families to visit Santa Claus without having to face some of the obstacles that they might encounter when trying to experience a visit with Santa in a shopping mall. The original Special Kids Day Event counted 30 children in attendance; now, through a combined effort among local businesses, community organizations, schools, and dedicated individuals, Special Kids Day has grown to serve over 600 families in the western suburbs of Chicago. 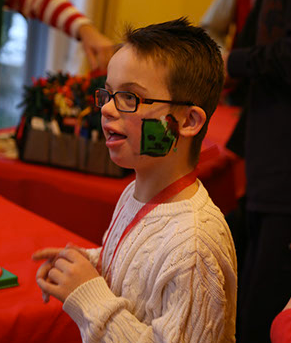 The atmosphere at Special Kids Day is designed for kids for whom a usual holiday party is too overwhelming or technically challenging. There is no standing in long, hot, crowded lines to visit Santa, and a professional photographer will spend as long as the child and parent needs to get the right shot. Recently, Special Kids Day was able to expand its event offerings to include a Halloween dance and a summer carnival. Events are open not only to kids with disabilities, but also to individuals of all ages with special needs, as well as families and siblings. Rosenberg is especially sensitive to the struggles that siblings can have feeling left out or unable to participate in regular events, and he takes pains to include them in the event. “When you start to realize the circumstances that (families of kids with disabilities) are dealing with, you realize that this is something that you’re doing for your whole community,” Rosenberg says. “The day reestablishes a connection with them in the community that they often don’t have." "It is one day, one evening, when we are eye to eye with children, reminding us all that they are a gift to us and our responsibility is to give a little back." Portions of this story are sourced from "Giving Back Can Be the Best Gift You'll Ever Get" by Laura Amann in Western Suburban Living. If you are in the Chicago area or know of a family that would like to attend this year's Special Kids Day holiday event, please click here for details! Our collective givetwig donation will help sponsor this year's holiday event for children with special needs and their families. For more information on Special Kids Day, please check out their website. this week i'm gonna donate to Special Kids Day.